December 25 is commonly celebrated for the birth of jesus Christ and this event is called Christmas. This religious occasion is being celebrated by billions of the people around the world with great joy and happiness. Christian exchanges gifts each other and wishes marry Christmas to enjoy the mom ents. This is traditional to give gifts and share meal with the family and friends. Christmas come just before the new year and this is also a celebration of new year. Wastern Christian decorate a tree with little stars, gifts and flowers and name it Christmas Tree. They also decorate it with lights to make it more beautiful. People give cloths to poor people and help others. All that is everyone become happy on this day. Every person enjoy the moments of the Christmas. People wear beautiful dress, new footwears and new sweaters because there is very cold in Christmas days but girls and household ladies do make up and make different hair styles. 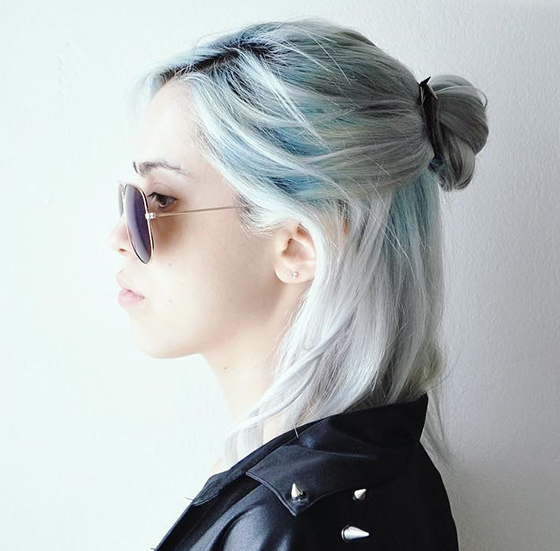 One of the common hair style adopt by the girls is silver colour hair style that looks very beautiful and amazing. 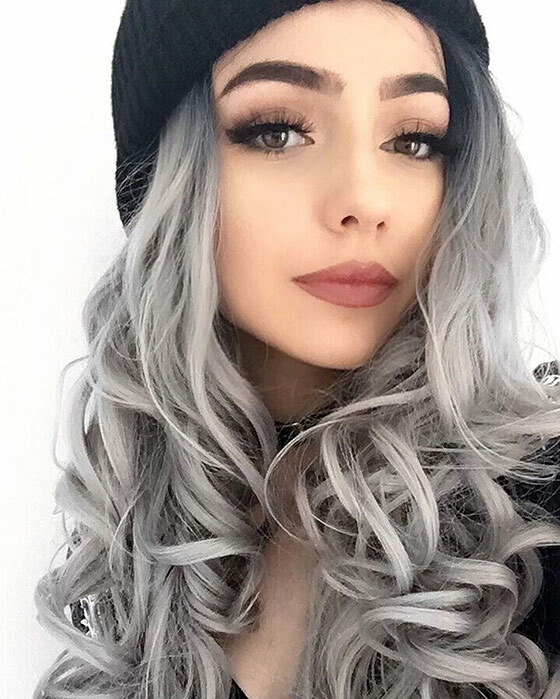 Christmas is now come and every girl is ready to make that silver hair style. 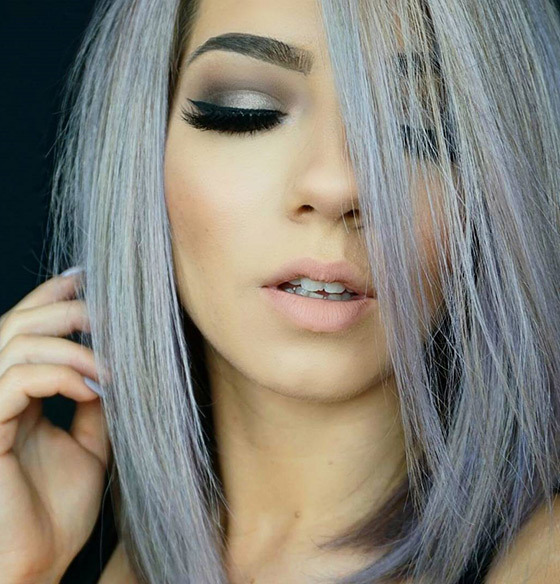 Many female like this silver colour holiday hairstyle and pick this hair colour and started rocking. you may seen many girls with silver colour hair style but if not !!! then we will show you most beautiful colour hair style in silver colour. 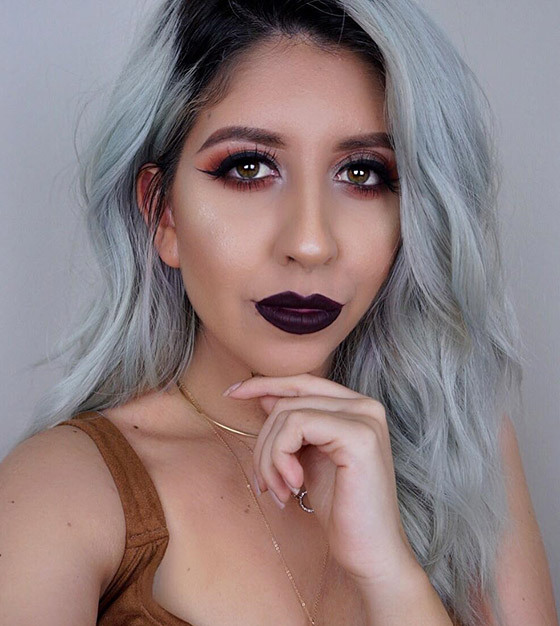 We have posted 10 gorgeous ladies photos having silver hairs style inspiring other to do same. Have a look at them. White gray this hair style is perfect for your holiday of Christmas. 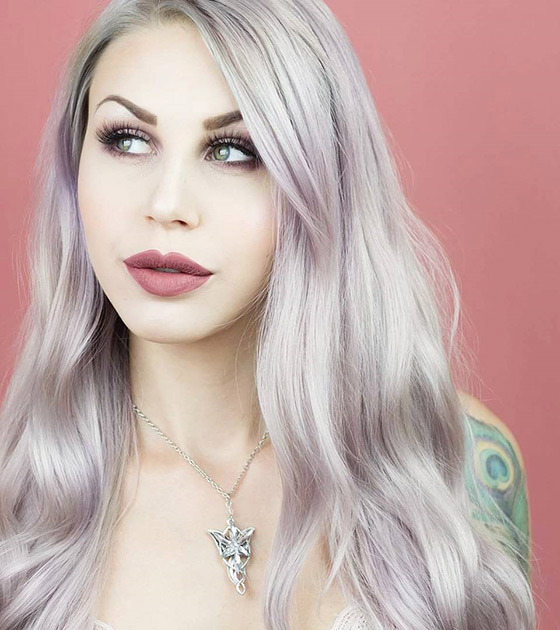 Aqua-Gray Root Melt is one of the beautiful hair design to be make on Christmas and to surprise your friends and family. You will look pretty with beautiful contrast and wraps your personality in such a nice way. This is one of the best hair style that you can pick up for this Christmas and for vacations of winter. You can also make this hair design for new year night. You will crazy love this hair style because this new and latest trendy hair style makes you more beautiful and give you a fine look. Don’t wait and just get that stylish hair style. 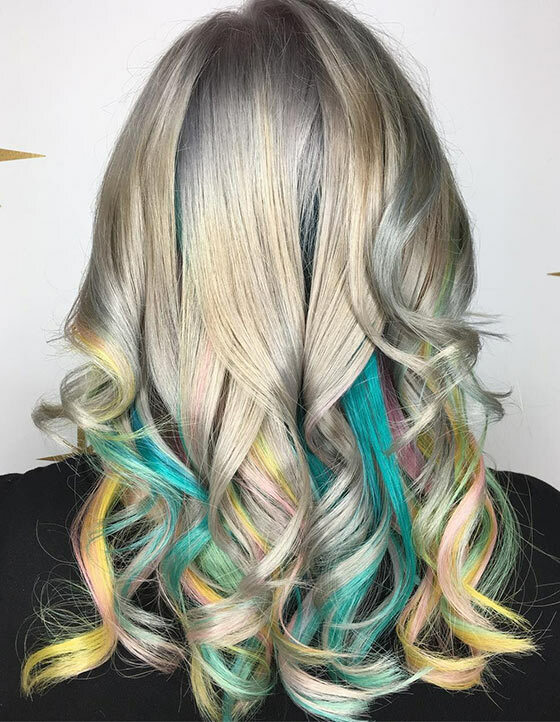 Opal is one hair style that made with combination of some other awesome light and dark shade of colours this is why Opal hair style look perfect for new year party or Christmas dinner party at home or at a friends home. Love for the rose can never be ended up because you red is sign of love and rose also have red colour and Christmas is also is a event of celebrations with loved ones and family so this new hair style with rose silver colour can be your perfect match on new year night or Christmas party. 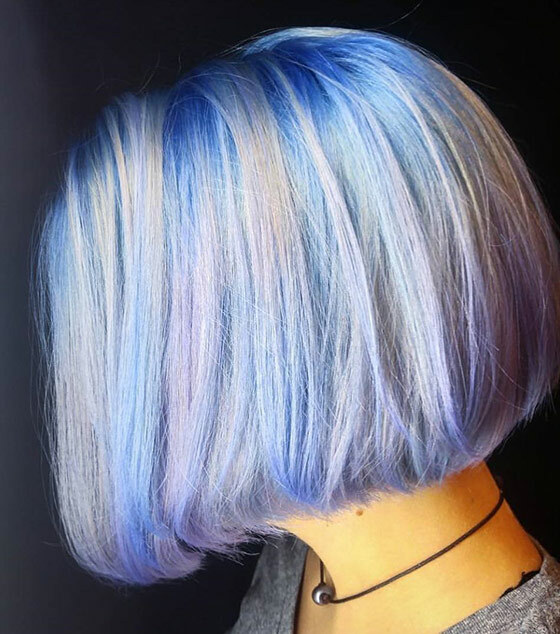 If you love blue colour then you will definatly love this hair style because this silver hair design is combined with blue colour. This shade give a pleasant look. This is perfect combination for your Christmas party with friends. 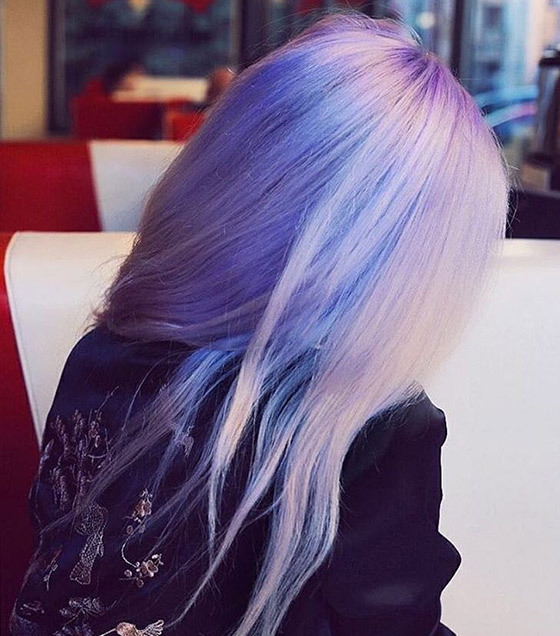 Purple colour is very beautiful but if it is combined with blue and silver then it will be heart catching and this is done with hair style by a designer to be wear on this Christmas. You will look awesome and cool with this new hair style for females on this Christmas prayers. 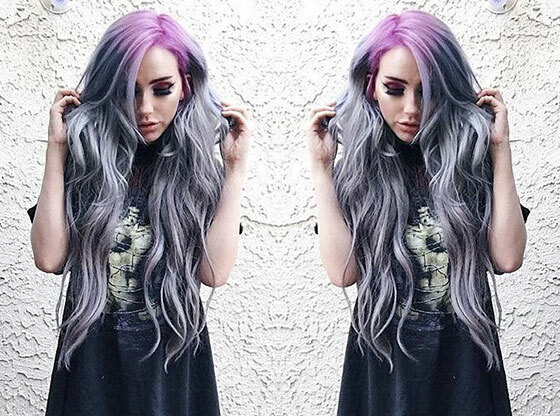 To set on this Christmas this gray mermaid hair style is best. You will look beautiful and stunning with the hair style combined with gray colour but you should have long hairs to adopt this hair style. 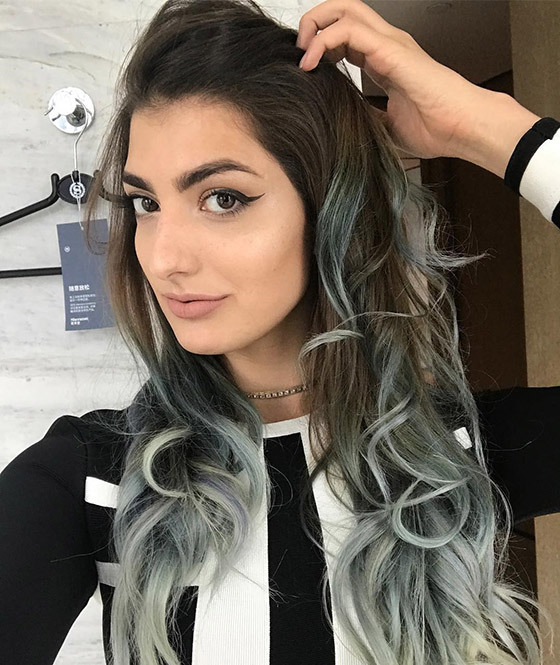 Silver colour hair style is now in nowadays but If you don’t want to colour your whole hairs then you should choose blue Gray ombre hair design that have combination of blue and gray + silver colour. One of the primary things that ring a bell when somebody notices Christmas is sweaters and the best thing about silver hair is the manner by which well it sets with them. 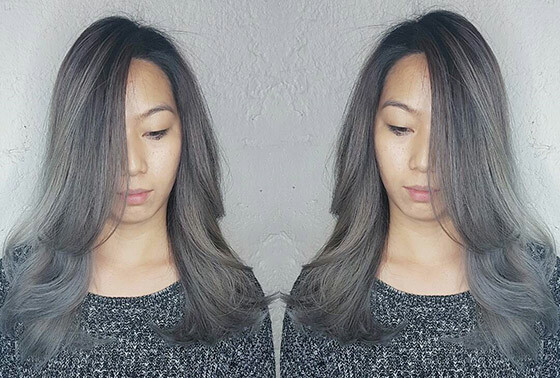 This dismal (unpretentious ombre) is ideal for any individual who needs a “characteristic” look with silver hair. Here This is another beautiful hair style with silver colour. Smoky deisgn looks very beautiful in dark winter. You will love this hair design and fall in love for this hair style when you will adopt this perfect winter look hair style with gray hairs.